Three of the young City of Leeds divers who competed in the London 2012 Olympic Games return to action next month as they take part in the FINA World Junior Diving Championships in Australia. The trio of Alicia Blagg, Hannah Starling and Jack Laugher are three of seven City of Leeds divers who will be representing Team GB and Jamaica in the event which takes place from October 8-13 in Adelaide. For the Olympic trio, the event marks the beginning of their road to Rio 2016 after the experience of taking on the world’s best in London. In Adelaide they will be competing in their own age groups, with Alicia (aged 15), Hannah (17) and Jack (17) looking to impress again at international level in the event open to divers aged 18 and under. 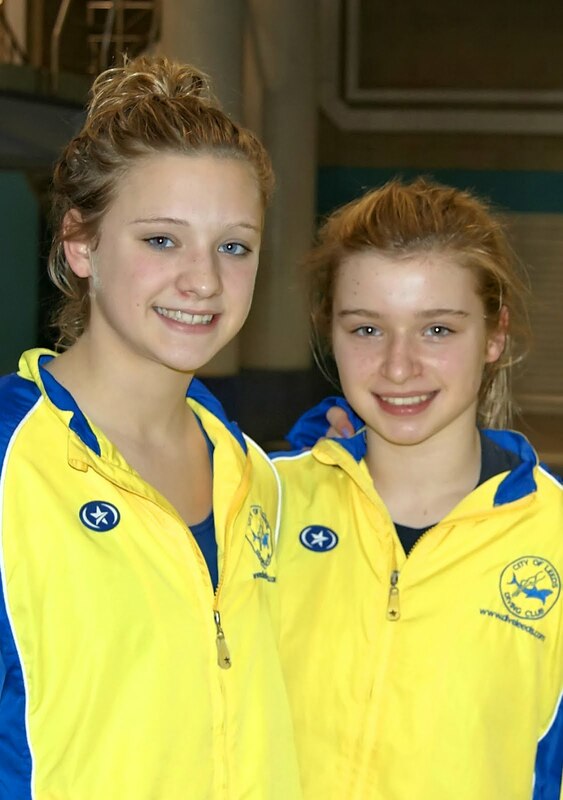 Alicia from Woodlesford, who was the youngest member of the Team GB diving squad in London, will be competing individually in the 1 metre and 3m springboard competitions and will team up with Hannah, from Alwoodley, in the 3m synchronised springboard event. Hannah will also be competing in the 3m individual event while Harrogate diver Jack, who trains along with his clubmates at the Aquatics Centre at the John Charles Centre for Sport in Leeds, will be competing individually in the 1m and 3m competitions. Jack will also be joining forces with Team GB superstar Tom Daley, who secured Britain’s first individual Olympic diving medal in 52 years with bronze in London, in the 3m synchronised springboard contest. All media are invited to attend a training session of the City of Leeds divers at the Aquatics Centre at the John Charles Centre for Sport from 4pm-5pm on Thursday 27 September (tomorrow). The divers who will be competing in Adelaide will be available for interview at the session along with members of the coaching staff. The John Charles Centre for Sport is located off Middleton Grove, LS11 5DJ. The event will also showcase the next wave of young City of Leeds talent looking to emerge on the world stage. Lydia Rosethall aged 13 from Garforth and Matty Lee aged 14 from Moortown will be taking part in their biggest competitions to date, with both having qualified through their performances at the European Junior Diving Championships held in Graz in Austria in July. Matty became the first-ever junior European champion from Leeds in winning the 3m competition in the boys 14-15 age group, while Lydia came fourth in the same event for girls. Another City of Leeds diver representing Great Britain in Australia will be 16-year-old Scot Grace Reid, who divides her time between Leeds and her native Edinburgh and will be taking part in the 1m individual competition. Aside from the Team GB internationals, young City of Leeds diver Yona Knight-Wisdom will make history in Adelaide as he becomes the first-ever Jamaican to compete in the FINA World Junior Diving Championships. The 17-year-old from Chapel Allerton, who qualifies to represent Jamaica through his father, will be competing in the 1m and 3m individual categories. Echoing the full senior Team GB squad which competed in London, City of Leeds divers make up half of the 12-strong Great Britain squad heading Down Under demonstrating the continued strength of Leeds City Council’s Diving Training Scheme, which oversees the City of Leeds squad, headed by senior diving coach Adrian Hinchliffe and former world champion Edwin Jongejans. “The group are all really looking forward to competing in Adelaide and for Alicia, Hannah and Jack it will be interesting to see how they return to competition and show what they have learned from taking part in the Olympics. Leeds City Council’s Leeds Diving Training Scheme is managed by Adrian Hinchliffe and has been running since 1986. The scheme provides opportunities in the sport of diving for all ages and from recreational to elite level. In total there are over 300 people taking part in the scheme on a daily and weekly basis, making it one of the biggest diving programmes in Britain. For further information about the scheme contact Adrian Hinchliffe at Adrian.hinchliffe@leeds.gov.uk, Edwin Jongejans at Edwin.jongejans@leeds.gov.uk or call 0113 395 7363.